Vibro-TRS is specially design to control structure borne noise and vibration for electrical transformers with transportation wheels in building applications. The elastomeric element used in Vibro-TRS is Regufoam Vibration PLUS from BSW Germany, available in different stiffness and thickness according to the weight of the transformer machine. Also it is equipped with special design restrains system to minimize movement from external forces in all directions. 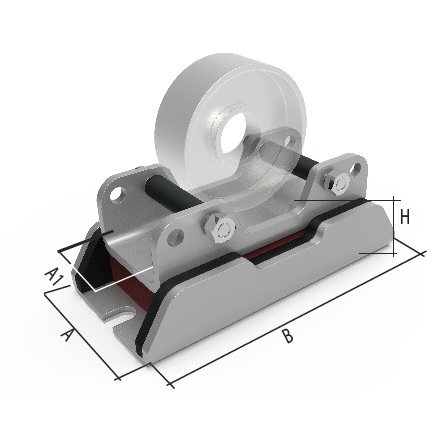 Vibro-TRS mounts is recommended to be used for Vibration isolation for a wide range of transformers. 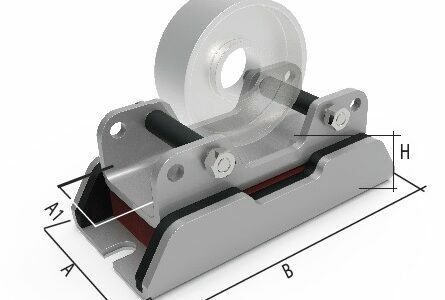 It can be applied as a Vibration dampening under the transportation rolls in order to protect the receiver from the structural born noise transmission. the pioneer design of Vibro-TRS allow easy installation of the transformer and prevent movement of the wheel when securely fastened. it is applicable for transformer with weight up to 14tn. Vibro-TRS is added to our product list that offer a wide range of solutions in the field of Vibration isolation in HVAC & Mechanical Noise Control. 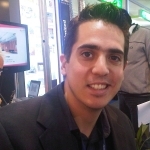 Antonios Argoudelis LinkedIn Profile Antonios is our Mechanical Vibration in HVAC systems specialist. During his studies as an Industrial Engineer and his MSc in Noise and Vibration control he had the opportunity to set the foundations for enriching the VIBRO vibration isolation product range with more advanced systems. He has recently become our new Exports Manager and deals with clients and queries from all around the globe.